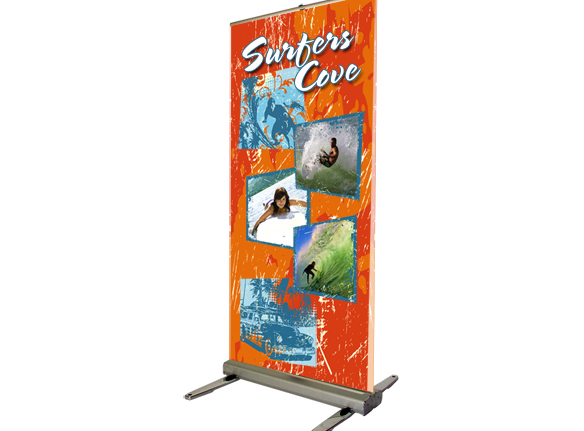 The MediaScreen 2 AWD (All Weather Display) is the outdoor banner stand that carries all the style and features of an indoor premium stand but with tough as nails outdoor hardware. 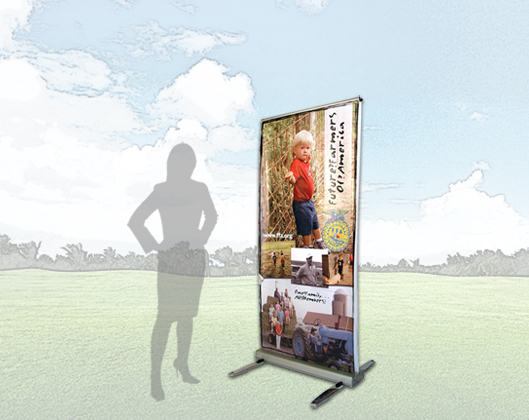 The Media Screen 2 AWD is a double-sided unit tough enough for outdoor weather conditions. 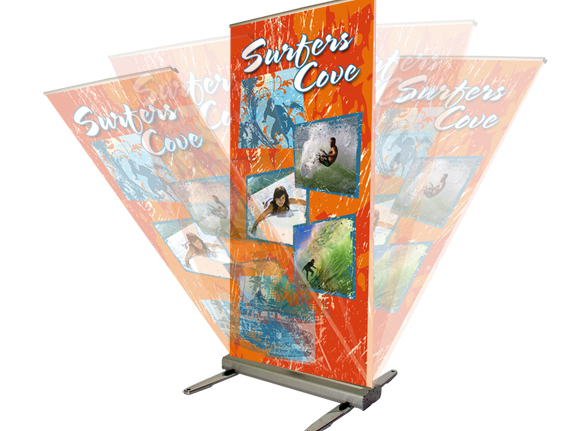 The supporting masts and graphics are retracted into the silver-on-chrome base. 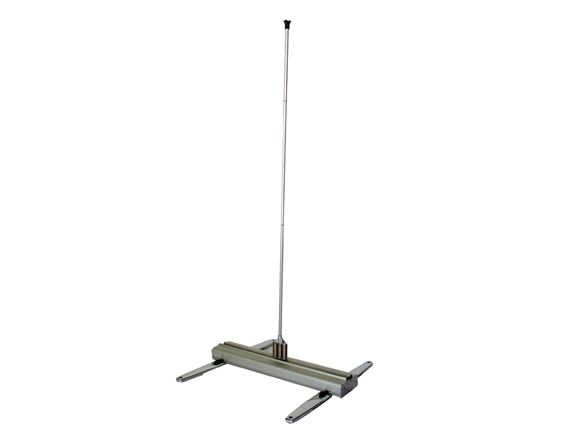 The unit is designed with a heavy duty base and spring supported mast. 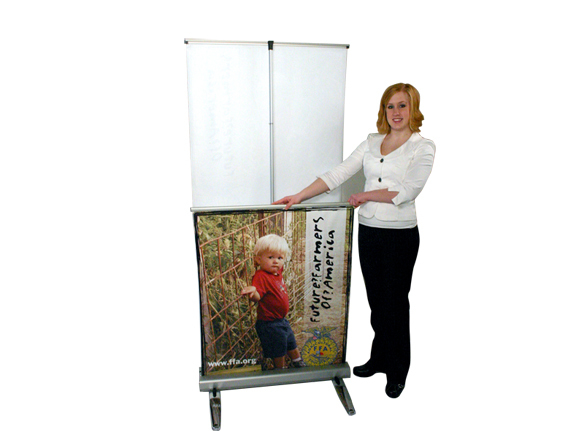 Two black padded storage bags are standard with all units. 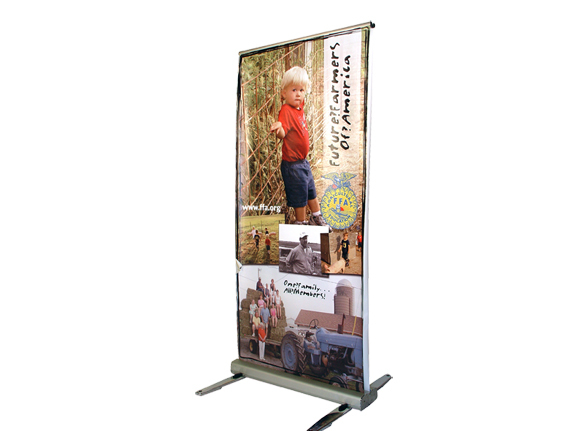 33.5" W x 76" H Unit with Graphic 36.65 lbs. (add 2 - 5 lbs. for box and packing) 10" x 10" x 36"